Taiwanese children celebrate the birthday of our partners! 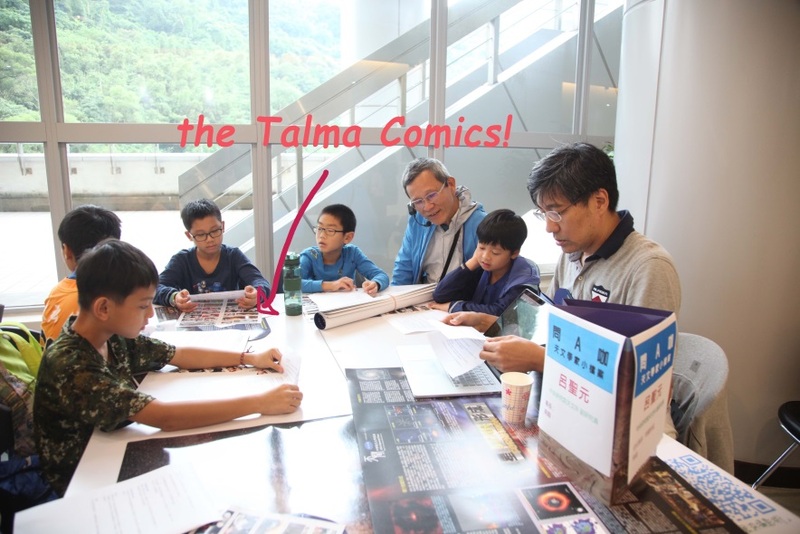 On October 28th of 2017, at headquarters of Academia Sinica, Taipei, Taiwan, 32 school children participated in a program the Academia held for celebrating its 89th birthday and the Open House Day called Ask an ALMA Astronomer. 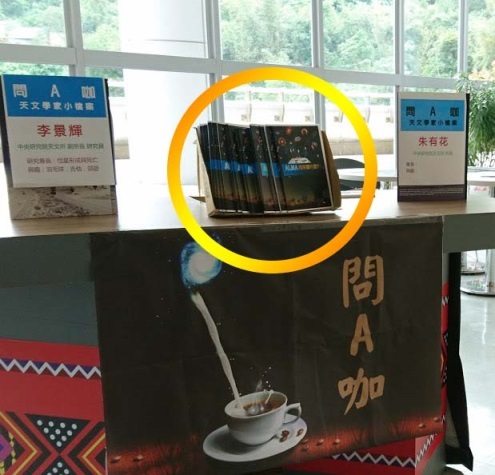 To help making the most of the experience, ASIAA (Academia Sinica Institute of Astronomy and Astrophysics) EPO staff prepared some booklet-giveaways that contains introducing stories about “What do you see with ALMA?”. At the end of day, along with happy memory, kids took the storybooks home and share the new discoveries with even more people. Other ALMA astronomers were also present and were responsible for interacting with different age groups other than elementary-level, like “junior high-school”, “senior highs” and even college students and adults. In those groups, lots interests centered around the new discoveries of ALMA, the future of radio astronomy, and the exploration of the universe. The other astronomers are Dr. Sheng-Yuan Liu, Dr. Chin-Fei Lee, and Dr. Tien-Hao Hsieh. In the occasion, astronomers have the opportunity to present visitors their latest research findings and personal impressions, face to face. Most of them found it a great way to explain the publics why studying astronomy is a great meaningful job. 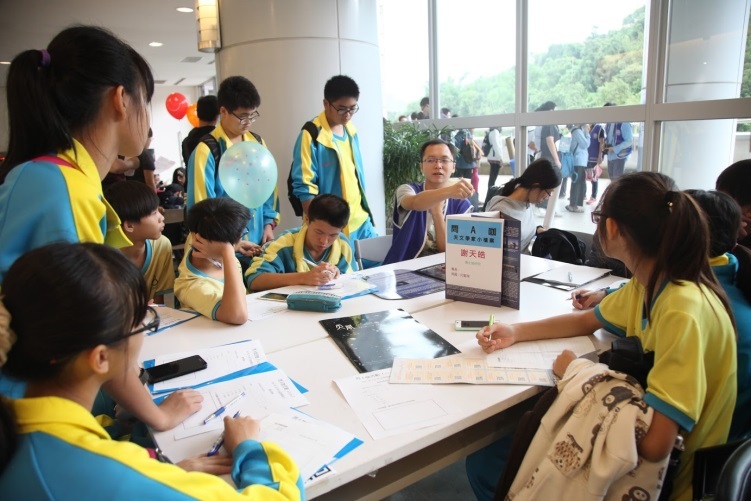 Dr. Sheng-Yuan, Liu (to the right), accompanied by an assisting teacher, was looking into answers for questions the kids brought with them. 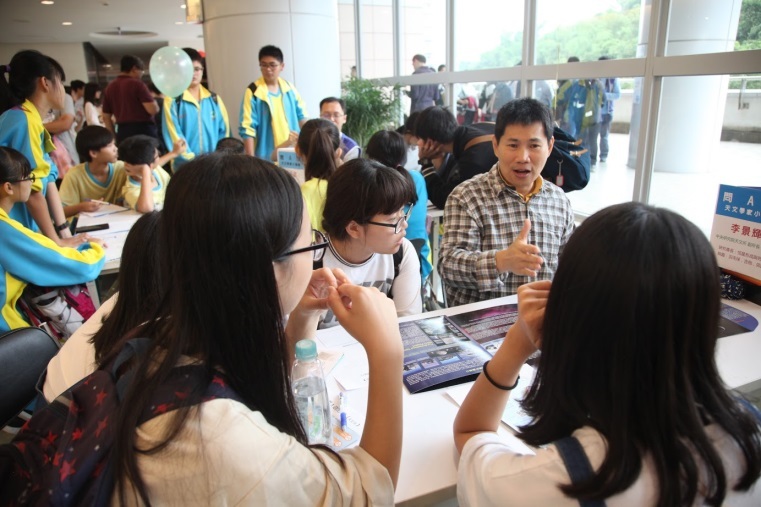 Dr. Chin-Fei, Lee was taking questions from youngsters. Dr. Tien-Hao Hsieh explained what is radio astronomy.